Fraxel is a non-invasive laser therapy providing a wide array of treatment options to address many forms of aging. It is customized to each patient’s needs and concerns, often requiring minimal recovery time. It’s the perfect solution for people who want their skin to look younger, but without the plastic look or the time away from work and social events. How does Fraxel Dual treatment work? 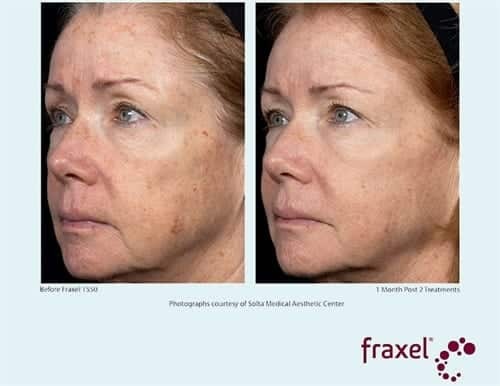 Fraxel Dual® 1550/1927 laser treatment targets are aging and sun-damaged skin with microscopic laser columns that penetrate deep into your skin to expedite your body’s remodeling of collagen. Because the laser treats only a fraction of tissue at a time, it leaves the surrounding tissue intact, which promotes very rapid healing. 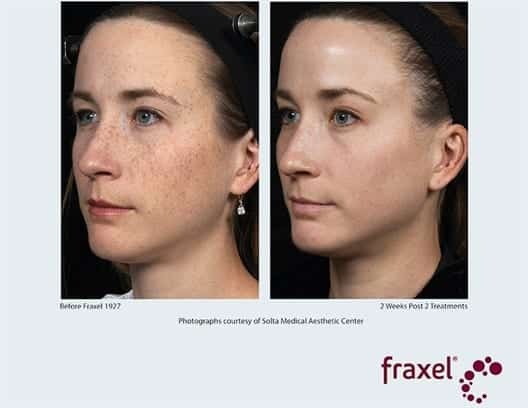 Fraxel Dual treatment rejuvenates your skin by stimulating the growth of new, healthy skin cells from the inside out. How long do the positive effects of Fraxel Dual treatments last? It depends on your particular condition and how you care for your skin. Once your skin is treated, continue to protect it as described above. Dr. Gendler will give you specific advice based on your individual needs. Does a Fraxel Dual treatment hurt? Most patients describe an increased sensation of heat during the treatment. Topical anesthesia is applied before the procedure to minimize discomfort. After the treatment, most patients feel like they have a sunburn, which usually diminishes in 1 to 3 hours. How many Fraxel Dual treatments will I need and how will they be spaced? Clinical studies suggest that some patients may require one to two follow-up treatments for optimal results. Results after each session are immediate and progressive, with optimal improvement usually visible in 2 to 3 months. This time frame and treatment structure allow for complete healing and the production of new collagen and elastin to replace damaged tissue. What should I expect after a Fraxel Dual treatment? During the first 24 hours after treatment, your skin may feel as though it is sunburned, and it will appear pink or red. You can wear make-up to reduce the sunburned appearance. Your skin will naturally bronze over the next week or so, and as with a sunburn, your skin will flake and exfoliate regularly. Use a moisturizer to reduce the appearance of dry flakes.